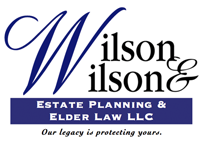 Our firm offers assistance in all aspects of Estate Planning to clients located in LaGrange, Illinois and surrounding area. We understand that every client's most important estate planning goal is to secure a future which provides for you and for the ones you love. Our lawyers can work with you to create living trusts and wills, healthcare and financial directives, including medical powers of attorney, living wills, and financial powers of attorney.We want to insure that your personal matters and financial affairs are appropriately handled and structured. Many people are unsure if, or when, they should seek the advice of a lawyer as they begin the process of Estate Planning. If you own property, have children, have recently been married or divorced, or wish to make a special bequest to a friend or relative, you should make or update your estate plan. Our estate planning lawyers will insure that your property is distributed according to your wishes. Our experience and expertise often enable our clients to reduce or eliminate death taxes and avoid probate. By setting up a living trust, you may avoid probate. Much like a will, a living trust describes what happens to your property in the event of your death. While you are alive, you remain in control and have the power to change the trust at any time. Setting up a living trust allows you to avoid the expense and long delays of probate, and may even save you money on taxes. Talk with us to see if this might be an option available to you. Another important reason to meet with an estate planning lawyer is to set forth in a legal document your wishes and directives regarding your healthcare and finances. These documents are critical, in the event you are rendered unconscious or otherwise unable to state your wishes. Our lawyers can help you draft medical powers of attorney, living wills, and financial powers of attorney and appointment that will help your family and medical providers make important decisions if you are unable to do so. The practice of asset protection involves preserving your individual wealth or the assets of your business by minimizing the risk that various creditors can find and take your hard earned assets. Lawyers in our firm who practice in this field work with our clients to create different types of wealth preservation strategies based upon their needs, protecting them, their families, or their businesses from financial crisis, catastrophic judgments and future creditors. Without creating the right strategy and safeguards, years of your hard work and success can be at risk. Our lawyers are committed to protecting our clients, whether business or individuals, from potential financial crisis. TO LEARN MORE ABOUT THE ASSET PROTECTIONS OPTIONS AVAILABLE TO YOU CONTACT US ONLINE OR CALL US AT 708-482-7090 TO SET UP A CONSULTATION.